Directing a successful dance concert requires a thorough knowledge of past best practices, particular challenges of the current planned production, and the development of an outline of activities that will allow all contributors to work to their maximum potential in creativity and practical application. In the case of a faculty dance concert, there might be four to seven contributing choreographers along with creative contributors in stage lighting, technical management, costume design and construction, sound and video. In addition, there will be constant communication with marketing and promotional departments, photography, and local or even national media outlets. Of course, there is also the interaction with a collective group of dancers who perform the choreography. It is the Artistic Director's responsibility to manage the creativity of all involved, to allow each contributor to fulfill his or her artistic goal, to create a shared workspace where all are calm and supported and comfortable, and to keep the entire production moving at the proper pace through conception, creation, and execution. The Artistic Director also has the final say in budgeting and expenditure of funds, and is responsible for staying with the fiscal constraints of the performance. In my past I have had substantial experience in producing events in dance and theatre. 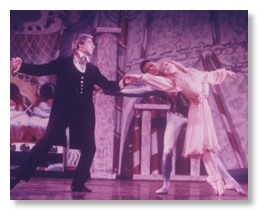 Early in my career I was managing director of the Red Bank Ballet in NJ, responsible for producing The Nutcracker (NYC and local dancers, orchestra, children's chorus) and original concerts, and negotiating with theatres and media, in addition to performing. 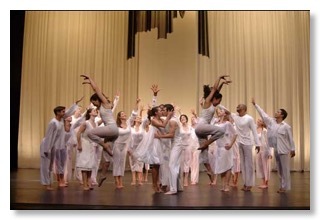 In 1997-98 I directed the Jazzart Jazz Dance Technique and Choreography Festival held at Western Kentucky University, where I invited top jazz dance professionals like Matt Mattox, Billy Siegenfeld, Jeannie Hill, Lynn Simonson, and Frank Chaves to teach and choreograph on over fifty dancers from across the country and internationally. 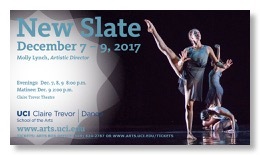 At UC Irvine I directed four graduate level dance concerts, usually with 10-12 choreographers of varying dance genres in each performance. 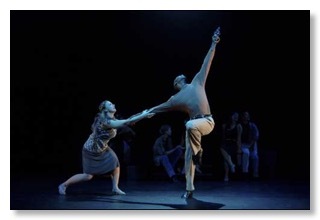 As Dance Chair at Stephens College in Missouri, I directed student and faculty choreography concerts, and contracted seven guest artists to teach/choreograph in residencies of three weeks to three months. In 2013 I was director of the Virginia Governor's School of the Arts four-week summer dance program for high school rising seniors, where I created the curriculum, contracted the faculty, and directed the program ending dance concert. 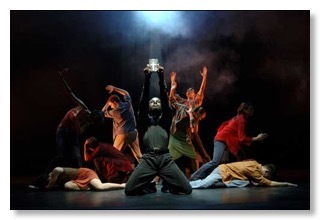 My biggest dance production challenge was my 2005 evening length performance, Empty Sky…The Rising. 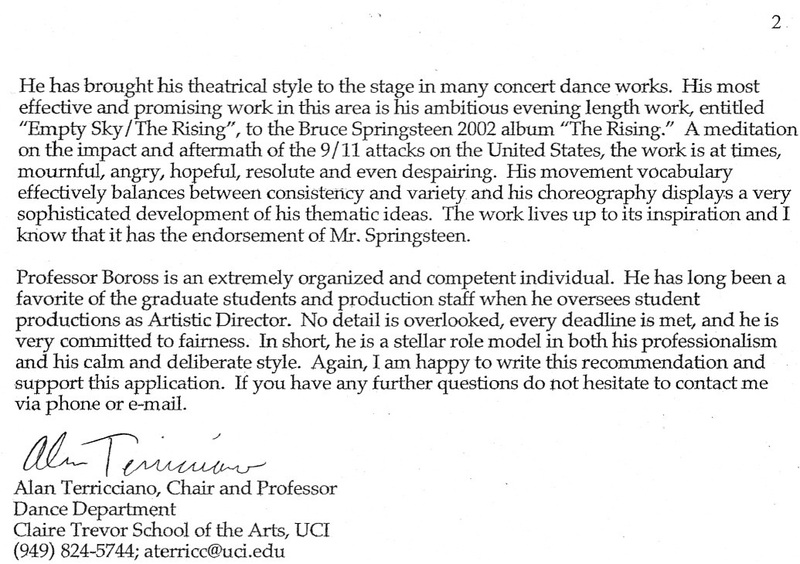 Using twelve songs from Bruce Springsteen's 2002 CD The Rising (fully licensed), I choreographed and directed the entire production using fifteen dancers from California and ten dancers from NYC. I rehearsed both casts separately, then managed all arrangements to bring the California dancers to Red Bank, New Jersey to an Equity theatre that I had contracted, and assembled the performance in two days. It was a great success, both artistically and in the complex arrangements to make it all happen. 7. Organize first informal production meeting with choreographers, costume designer, lighting designer, tech director, and the stage manager. Find out any new thoughts on choreography, needs, get everyone talking to each other so that all will know what is expected. The Artistic Director would open the meeting and oversee, but the details would be managed by the Stage Manager. Discussion of music rights, possible live music, etc. Set Audition dates, SM and small crew to assist will be responsible for posting audition information. 8. SM will direct the dance audition - forms, availability sheets, numbers, etc. 10. SM makes dancer/staff contact lists, audition time/location charts, arranges for dancers to have measurements taken. Tech week times are established, communicated to all and to dancers, noting any conflicts. 12. Artistic Director oversees start of rehearsals, stays in contact with choreographers and staff. Begins work with marketing department on their needs, and working on ideas to best promote the concert. 13. Second Production meeting, after about three weeks of rehearsal - SM runs meeting while the AD oversees, choreographers individually discuss progress, needs, anticipation of needs/problems in the near future. Design staff discusses needs/questions, and how to create within the confines of the budget. Make plans to resolve any issues. Tech staff is working with student tech team, and creating their schedule of work and tech week/performance day itinerary. SM and/or another volunteer coordinates performance program copy and page layout. 14. Choreographers continue rehearsals. Artistic Director stops by to observe each piece being created, makes time to interact with dancers of each piece. Any concerns are then addressed. 15. Final production meeting, two weeks before performance. Last minute problems are addressed. Arrangements for final costume fittings, etc., are made. SM coordinates lobby displays. 16. Tech rehearsals begin, hopefully on time and without issue! Costumes are integrated. 17. Final dress rehearsal - arrange for dance warm up prior to performance, faculty and/or students to lead warm up, then final dress rehearsal with invited audience. Always - notes after the performance from the director, individual choreographers will give notes either after the performance or via email, etc. 18. Opening night - Artistic Director works with marketing department on any opening festivities, dance warm up, performance (hopefully flawless! ), meet with dancers/choreographers/staff after the performance for something to eat or have a celebratory drink. 19. Remainder of performances occur, with SM and tech crew in charge. The design staff monitors costumes and lighting needs/preparation. 20. Conclusion of concert - Costume department is responsible for collecting/washing/storage of costumes, tech director is responsible for strike, Artistic Director and choreographers are usually networking with upper administration, parents, etc. 21. Artistic Director compiles final accounting of budget income and expenditures. 22. Post Mortem - either in person, or otherwise via shared email or communication document - elaborate on what went right and what went wrong. Determine how to fix the things that went wrong. Assimilate these ideas into the manual of best practices for consultation by next year's Artistic Director. 23. Sincerely thank all involved! http://www.bobboross.com - My personal website, with choreography videos, photos of my productions, my past history, publications, references, etc. https://www.facebook.com/groups/76097416880/?ref=bookmarks - Bob Boross Dance - Jazz, Tap, Musical Theatre - my group page on Facebook with many video links to my classwork and choreography. http://www.dance-teacher.com/bob-boross-teach-matt-mattox-freestyle-jazz-2392804896.html - Feature article in Dance Teacher magazine about teaching the Mattox technique. http://www.dancestudiolife.com/december-2016-jazz-hands-on/ - Feature article in Dance Studio Life magazine about my appearance as an invited professor of jazz dance at the 2016 NDEO Jazz Dance Conference in Newport, Rhode Island. http://www.broadwaydancecenter.com/faculty/bob-boross - My bio at NYC's Broadway Dance Center, where I give master classes. http://www.kennedy-center.org/calendar/event/NRNMC - My teaching as a faculty member for National Dance Day at the Kennedy Center in the summer of 2017.
https://ru.usembassy.gov/american-choreographer-bob-boross-introduces-jazz-dance-russian-students/ - Short video about my appearance as a jazz dance cultural artist at the Boris Eifman Dance Academy in St Petersburg, Russia, March 2017, sponsored by the US Embassy in St Petersburg, Russia. 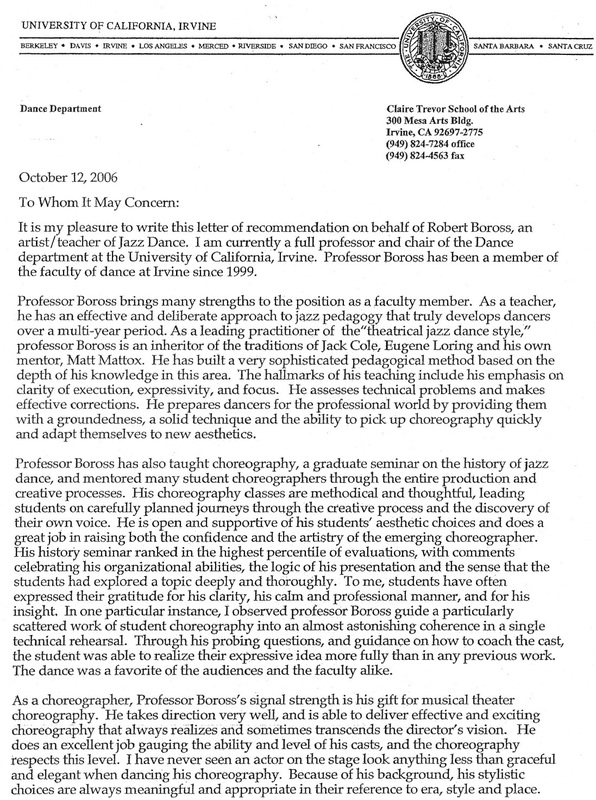 http://bobboross.com/styled-5/ - List of my publications, including my book Comments on Jazz Dance 1996-2014, "Image of Perfection: The Freestyle Dance of Matt Mattox," and Jazz Dance - A History of the Roots and Branches.